Guacamole is a tasty treat made from fresh avocados. It is also healthy for you, providing fiber, vitamins, minerals and healthy fats to your diet. Avocados are available all year long, but are freshest in early to late summer. If you pick up some extra avocados and want to make some extra guacamole to have on hand for a quick craving, try making plain guacamole and freezing it for later use. 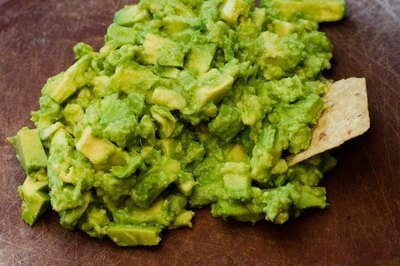 Do not add extras to your guacamole before freezing, as it can ruin the consistency when thawed. Wash the outer skin of the avocado and slice it in half. 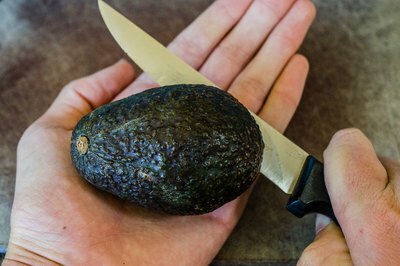 When you run into the pit, lay the avocado flat in your hand and turn it, so the the knife slices the avocado around the pit. 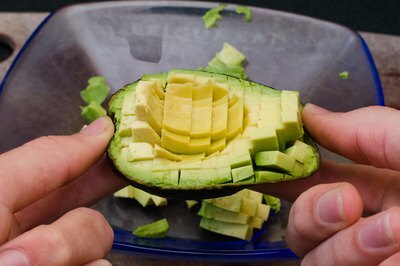 Leave the knife in between the two halves of the avocado and gently twist it back and forth. This will separate the halves. To remove the pit, gently hit it with the knife so that the blade pierces it. The pit is now stuck to the blade. 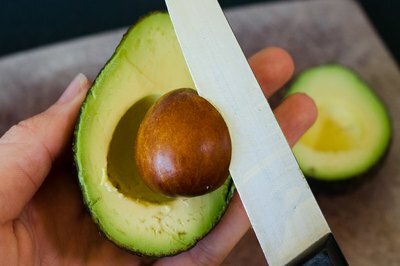 Gently lift the blade up from the avocado and discard the pit. Add 1 tsp. 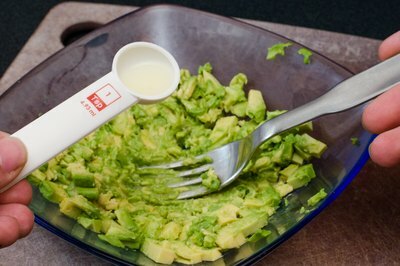 of lime juice to the avocado, and then mash together with a fork. Leave it slightly chunky, as when it thaws it will have a thinner consistency. Scoop the mashed avocado into a freezer bag. 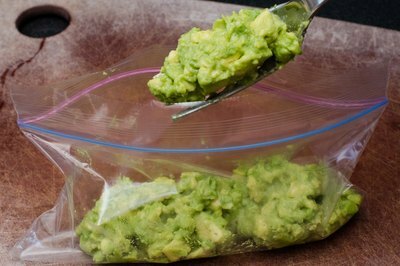 According to the experts at "What's Cooking America," a heavyweight, zip-close freezer bag works best for freezing mashed avocado. Once the mashed avocado is in the bag, expel all of the air from the bag and then zip shut. 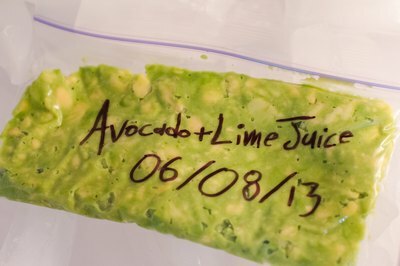 While you can use a freezer container, "Gourmet Sleuth" suggests that if you do, you should fill it full, because it is exposure to air that turns the flesh of avocados brown. Label the bags with the ingredients and the date using a permanent marker. For best results, use your frozen guacamole within eight months. When you are ready to use your frozen avocado, take it out of the freezer and let it thaw in the refrigerator. If you need it quickly, you can accelerate the thawing time by setting it in a bowl of cool water. When thawed, add the rest of your guacamole ingredients as desired. Lemon juice or vinegar can be substituted for lime juice if you prefer. Do not freeze other ingredients, such as chopped pepper and tomato, with the mashed avocado, as the mixture can become runny when thawed.